Prophecy is one of the greatest proofs of the veracity of the Bible. These are not mere guesses or conjecture. Bible prophecy is the word of God seen in its fulfillment, the force of its argument is confirmed year after year, and the clear evidence that can be seen with the eyes. Ezekiel writes about the many nations surrounding Israel and reminding the people of God those who deal harshly with His people will be punished. The city of Tyre was no exception. Judgment would come hard upon these people as her strongholds would be destroyed with many nations coming against her. Originally, the city was inland. Nebuchadnezzar is named as one of the kings who would cast battlements against the city razing it to the ground. One of the remarkable parts of the prophecy is when the ruins of the city are cast into the sea. When Nebuchadnezzar destroyed Jerusalem, he came to Tyre and laid siege to the city for thirteen years. When the city fell, the inhabitants fled to a small island about one half mile from the coast. The people were secure on their island fortress until the arrival of Alexander the Great in 333 BC. 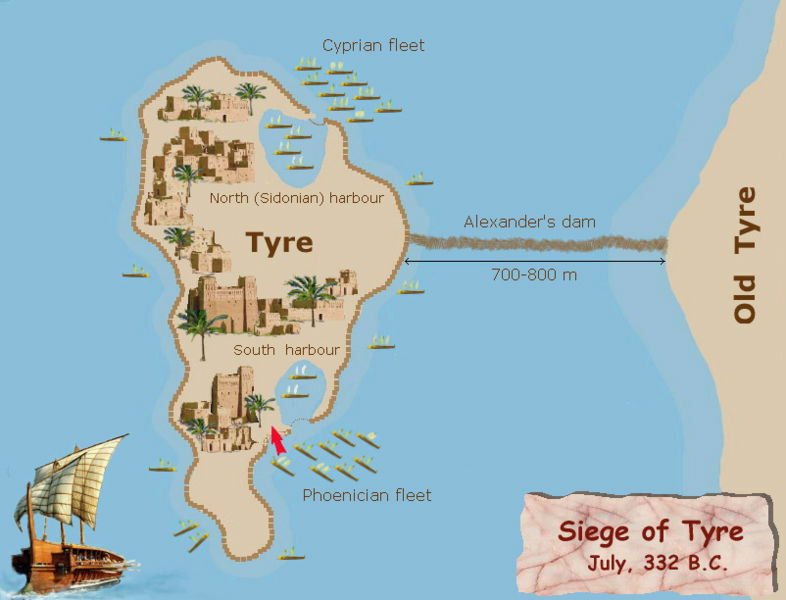 Refusing to capitulate to Alexander, the Greeks took the ruins of the old city of Tyre and threw them into the sea building a causeway gaining access to the city walls. After a seven month siege, the city fell in July 332 BC. It would seem improbable when Ezekiel wrote the prophecy about Tyre the events would unfold in exact detail. Through the power of the Holy Spirit, the word of God is true to every detail. The city ruins were cast into the sea and her foundation was scraped bare. In any generation, travelers will marvel at the causeway that remains – leading out to the ruins of the tiny island; and there in plain sight are nets spread across the rocks. Ezekiel’s prophecy remains fulfilled today. Looking at the Bible through the evidence of present truth should impress upon the reader that everything else in the Bible is true. Fulfilled prophecy is of the highest caliber of proof to the message of God. If what is said about Tyre is shown to be true in every detail, everything else in the Bible will find its fulfillment in the words God spoke to all men. There is a man called Jesus who is the Son of God. Sin is real. Salvation is real. Hope is promised and truth is absolute. There will be a day of reckoning and judgment. Nothing is to be left out when we read the Bible. Believe it and obey it. The grace of God infuses its pages with the promise that His word is true.